A Rail is a swimming pool accessory that is typically installed and anchored in both the pool deck and the in-pool step to make it easier and safer to enter or exit the pool. A step is a swimming pool accessory that is installed during the construction of the pool. It is always installed in the shallow end of the pool. Accompanied by a handrail (or grab rail), the step makes it easy and safe to enter and exit the pool. You can now purchase an in-pool step for aboveground pools. A Ladder is typically installed and anchored to the pool deck to make it easier and safer to enter and exit deeper waters of the pool. The bottom of the ladder rests against the pool wall for reinforcement and stability. Remember to install ladder bumpers (pads) in the bottom of the ladder so that it does not damage the finish of the pool-especially for vinyl-liner pools (without ladder bumpers, the ladder will tear a vinyl-liner). A great swimming pool accessory is a diving board that allows diving in the pool. Construction and safety codes will specify mandatory dimensions and depths of your pool for the use of a diving board. Have your local pool professionals’ research local codes before installing a diving board on your pool. The diving board is attached to a dive stand, which is anchored to the pool deck. Diving boards, dive stands, and other swimming pool accessories must be properly sized together. This is determined by the type and length of the diving board, as well as the dimensions and depth of the pool. If you use a diving board, be careful. Slides are a fun way to enter the pool. Slides are typically made of fiberglass with a stainless steel frame that is anchored to the pool deck. Slides can either be a left-curve or right curve. As with diving boards and other swimming pool accessories, construction and safety codes will specify mandatory dimensions and depths of your pool for use of a slide. If you use a slide, be careful. An automatic cleaner is a must have swimming pool accessory that will save you many hours of work. It is a pool vacuum cleaner that will vacuum the pool for you. Most pool owners operate their automatic vacuum cleaners in the evening when nobody is swimming in the pool. Although great for routine maintenance, there are times when an automatic vacuum cleaner cannot be used. But still, the automatic vacuum cleaner is a worthwhile investment. Solar cover is a great swimming pool accessory that helps heat the pool water. Solar covers have a smooth side, while the other side is full of air bubbles. Always lay the solar cover on the water with the bubble side down (facing the water). As the sun penetrates the cover, it will heat the water. During the evening, the solar cover will retain any heat that it previously captured. 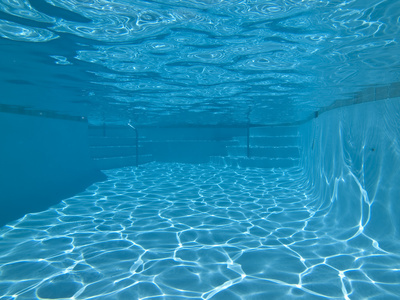 When selecting a pool swimming pool accessories, it is important to consider the elements. Good outdoor furniture is made to withstand rain, wind, sun, falling tree, and bush debris, not to mention wet swimmers in their swimming suits. You also want to take comfort into consideration. Unlike regular old patio furniture, you’ll be lounging on your pool furniture only partially dressed.